EFT International and its volunteer members are creating this section to offer recommended links to EFT Tapping resources. In this section you will find links to EFT Tapping books, ebooks, online courses, audio and other EFT tapping related products. The EFT Level 1 Training resource is essential reading following any EFT International Level 1 course. All basic skills and concepts are covered. Co-authored by Karin Davidson and Ann Adams, creator of the Masters in Applied EFT Certification Program for AAMET. Now Available in paperback from Amazon. 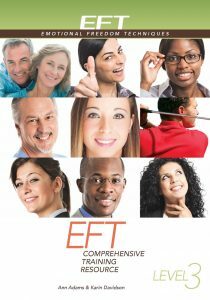 Intermediate EFT students will appreciate this thorough approach to rounding out Foundational EFT skills as a complement to any EFT International Level 2 training. Co-authored by Karin Davidson and Ann Adams, creator of the Masters in Applied EFT Certification Program for AAMET. 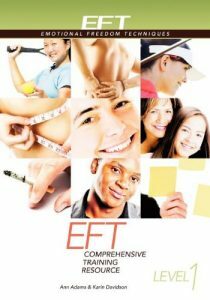 This complementary training manual gives in-depth explanations of EFT International Level 3 skills. 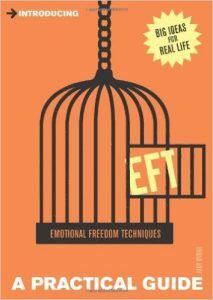 A must-have resource for serious students of EFT. Co-authored by Karin Davidson and Ann Adams, creator of the Masters in Applied EFT Certification Program for AAMET. 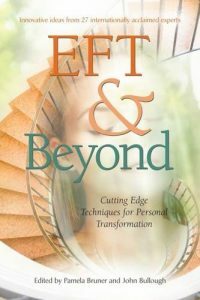 Co-edited by the late EFT International veteran John Bullough, EFT and Beyond is treasure trove of tapping stories and advanced EFT techniques.